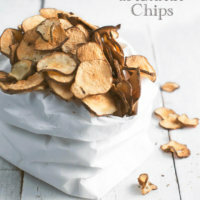 These low carb Baked Sunchoke Chips (Jerusalem Artichoke Chips) have a low glycemic index and are high in potassium, iron, vitamin C and protein. A great snack to eat on any diet. My week started off fantastic! I went to the gym, worked out, felt energized, cooked up a storm, cleaned up a storm – I was on a roll! Then Middle Child came home from school sick – super bad cold. BAM! Home for three days. I began to feel his cooties creeping into my system on Tuesday and I fought it back with zinc and lots of hot tea. But, the family seems to have fallen under siege to the cold germs. My Princess is now home today. My positive rays of sunshine from Monday long gone, and I am wallowing in self-pity as I fall behind on my to-do list. I cook up a storm for my family, feeding them wholesome foods and meals. Why are we a beacon for viruses? Maybe we should consume more preservatives and processed foods. Maybe there is some hidden shield of armor hidden in them? Although my workouts have come to a standstill, I am still cooking for everyone. And today I’m sharing something out of the ordinary in the ordinary world of chips. 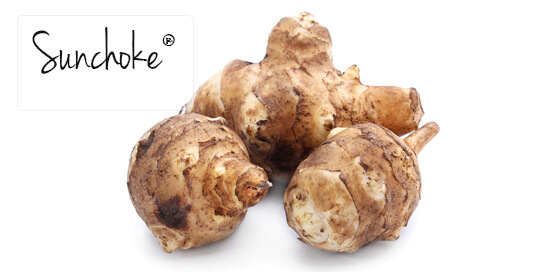 Frieda’s Produce sent me some Jerusalem Artichokes (aka Sunchokes®) to try. These tubulars are the roots to a sunflower and not an artichoke at all. They can be eaten raw, with or without the peel, and have a sweet, nutty almost artichoke-like flavor when cooked. They have a low glycemic index and are high in potassium, iron, vitamin C and protein. I thought they would make a nice addition to my vegetable chip repertoire. 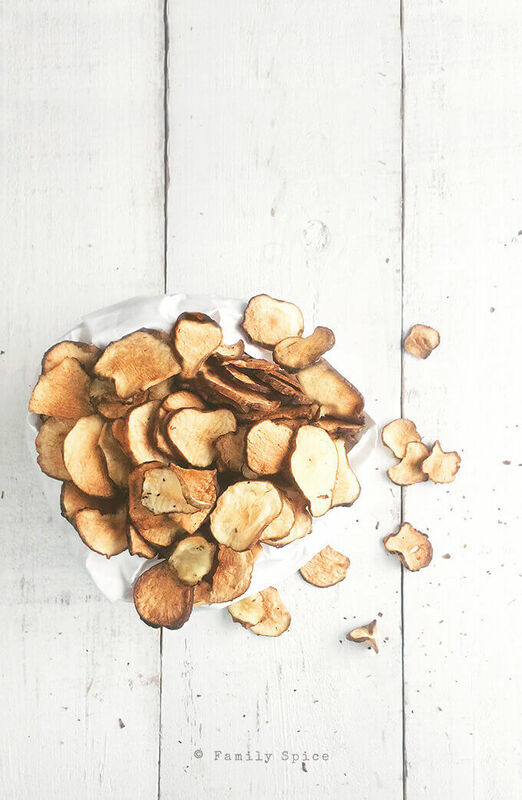 Sunchoke Chips, baby! 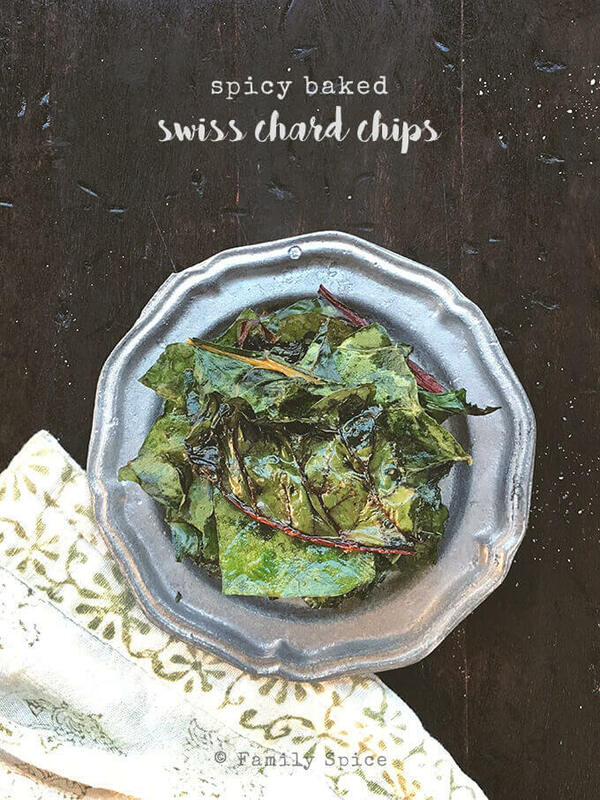 I’ve baked Swiss Chard Chips. 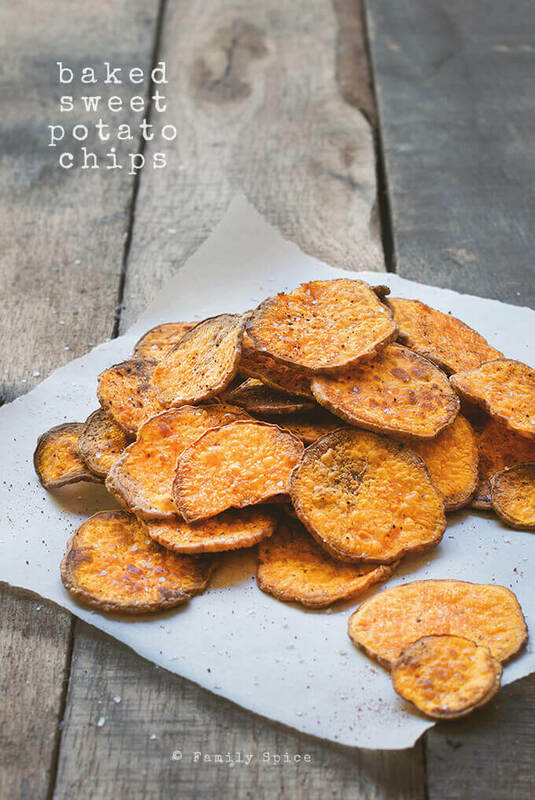 I’ve baked Sweet Potato Chips. And now, I’ve baked Sunchoke Chips. Now, excuse me as I must return to my sniffling kids and go pop another zinc tablet. Trim off ends and scrub sunchokes clean. Season slices with 1/2 tsp salt. Let sunchoke slices sit for 30 minutes to extract excess water. 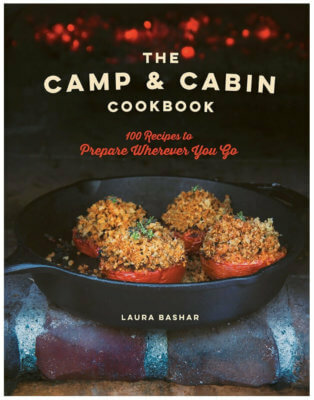 After 30 minutes, preheat oven to 350ºF. Line a large baking sheet with parchment paper or silicone baking mat. Using a paper towel, squeeze out excess water from slices and place in one layer onto the prepared baking sheet. Using a pastry brush, quickly coat both sides of the slices with olive oil. Bake until crisp and lightly browned, approximately 30 minutes. Season as needed with remaining salt and pepper. Cooking Tips: For extra zing season with paprika, garlic powder or cayenne pepper. We’ve had colds, too. Bummer. Anyway, this is an inspired dish! I would never have thought of this. Really creative — thanks. 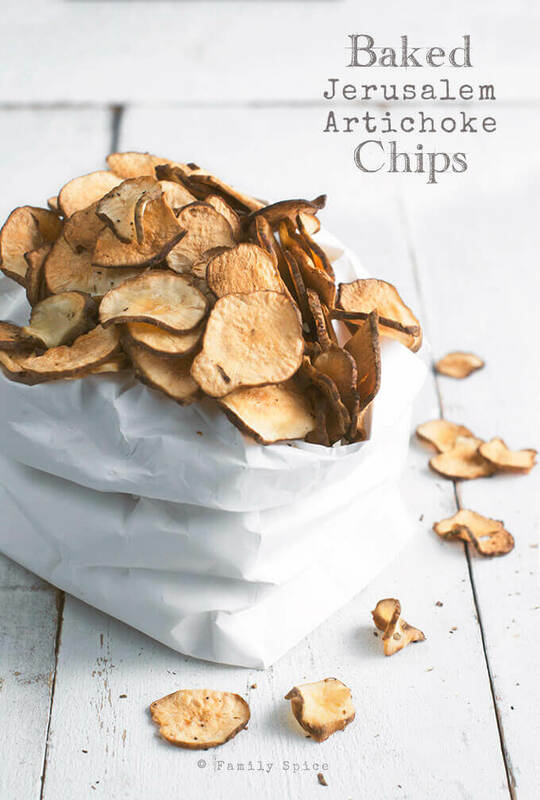 I’m ashamed to say I don’t think I have ever tasted a Jerusalem artichoke – but I love vegetable chips and these look tasty…Feel better soon. I have never made artichoke or swiss chard chips before. I have made kale chips, brussel sprout chips, and sweet potato chip. I am going to have to give these a try! So sorry to hear your kids were sick. The whole routine can be messed up when one child gets sick… great that we work from home, but still it’s hard to get things done when we have a sick child at home. Hope they are feeling better already. My husband told me he’s not feeling well this morning, and I was in panic. Whole winter we didn’t get sick and I definitely don’t want my family to be sick in spring! I’ve never had Jerusalem Artichokes before, and it’s interesting to know it’s not artichoke and root vegetable! I would get tricked if I didn’t read this post. Love root veggie chips so much. I’d love to look for Jerusalem Artichokes and make chips! I buy sunchokes every week at the farmer’s market when they are in season. I just can’t get enough of them. I never thought of making them into chips. I can’t wait to try this. Can you please tell me how many Carbs are in the baked Sunchoke chips? And the measurement equivalent.